Panasonic manufactures a line of advanced hetero-junction solar panels that are up to 25% more efficient that other panels of similar size. The benefit to customers who choose Panasonic HIT solar panels is more electricity generation per square foot. That allows homeowners to maximize the output of a rooftop solar installation. Now Panasonic has announced two new programs designed to benefit solar system installers. The programs will allow participating installers to take advantage of valuable marketing, training, and partner support initiatives to help develop their business. 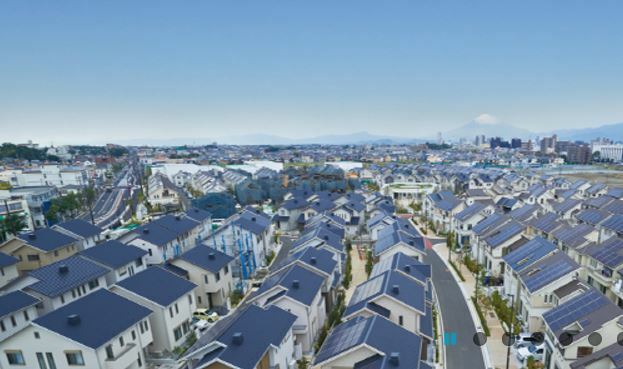 Thanks to the success of Panasonic’s HIT solar panels, installers will now have a wealth of business resources at their disposal. “Authorized Installers” will earn a number of benefits, beginning with a financing program that will provide increased fiscal flexibility and funding for installers. In addition, participating installers will have access to advanced sales lead generation courtesy of the Panasonic Solar Website. The “Authorized Installer Program” includes the Panasonic HIT Starter Pack, which consists of HIT apparel and customer brochures, as well as training and workshops to augment the installer’s knowledge of Panasonic HIT products. This program will also feature the installing company’s name on the Panasonic Solar Installer Finder. “Premium Installers” will earn the same benefits as the “Authorized Installers,” plus exclusive business opportunities such as joint press releases and marketing materials shared by Panasonic and the installer. These installers will also have access to joint public relations initiatives with Panasonic as well as preference in generated leads. Panasonic has been manufacturing its HIT solar panels since 1997. Each panel undergoes rigid performance testing under all conditions to guarantee safe and efficient operation. With its 15 year workmanship and 25 year output warranties, this gives both homeowners and installers peace of mind. This new installer program is the next step in the growth of the HIT brand and will support the continued development of high efficiency panels in the residential solar industry.